We're for youth development, healthy living & social responsibility. We're proud to be part of the YMCA of Greater Boston, a 501(c)(3) charity. 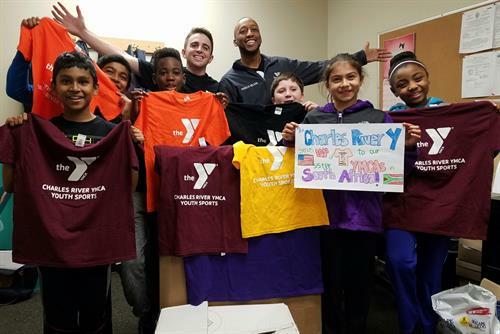 We sent recycled youth programming shirts to our sister YMCA's in South Africa!